The Nicea porcelain plate belongs to 1545-50 period and the original is at a private collection in USA. 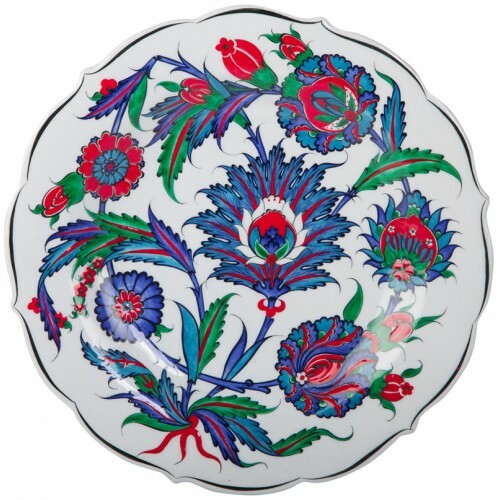 The replica is hand-made by the artist Mehmet Gürsoy who has been interpreting the original 16th century İznik patterns and bringing them into the present. 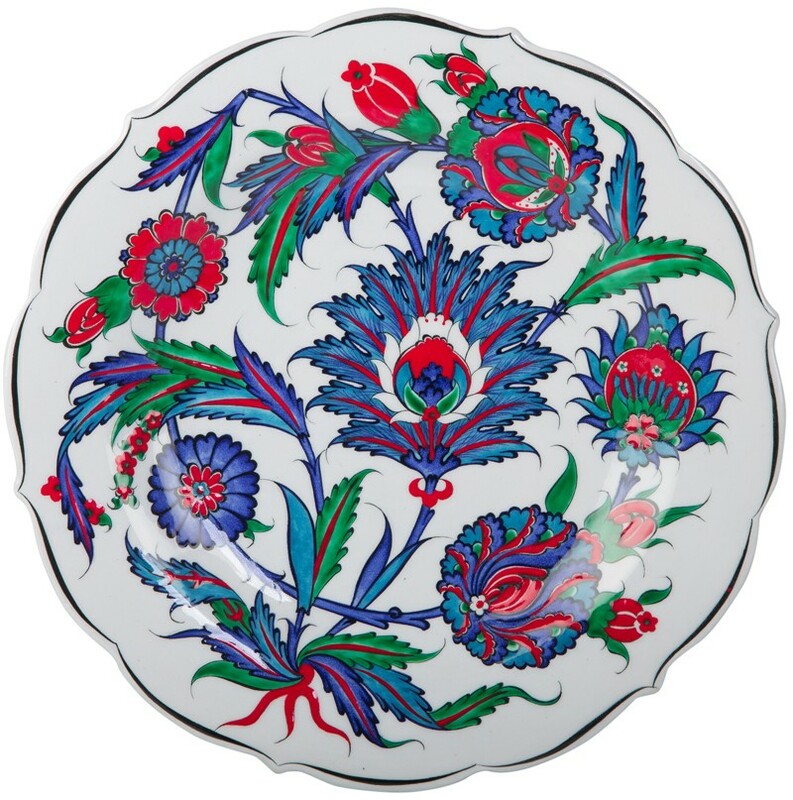 Mehmet Gürsoy is one of the artists who revived particularly the Turkish porcelain art which reached a peak in the 16th century whereas sank into oblivion in the 17th century, who was considered as a “heritage carrier” by UNESCO and was announced as the “Living Human Treasure”.